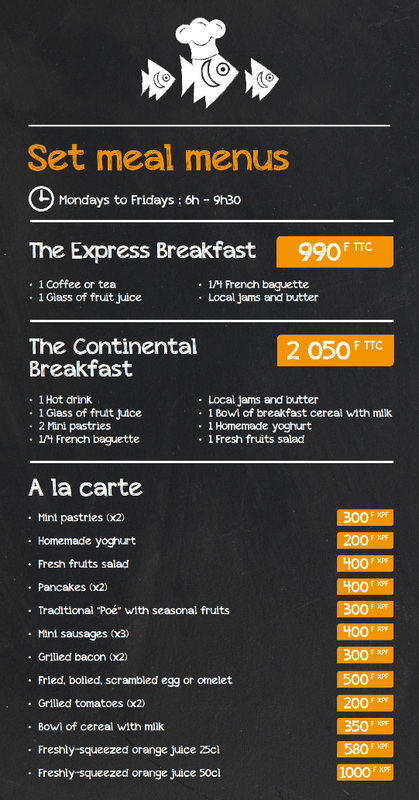 Start your day with our delicious gourmet breakfasts. 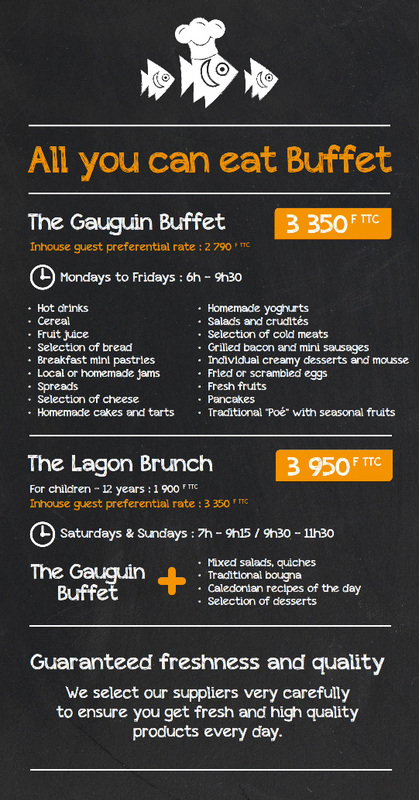 Our restaurant Le Gauguin is open only for breakfast. 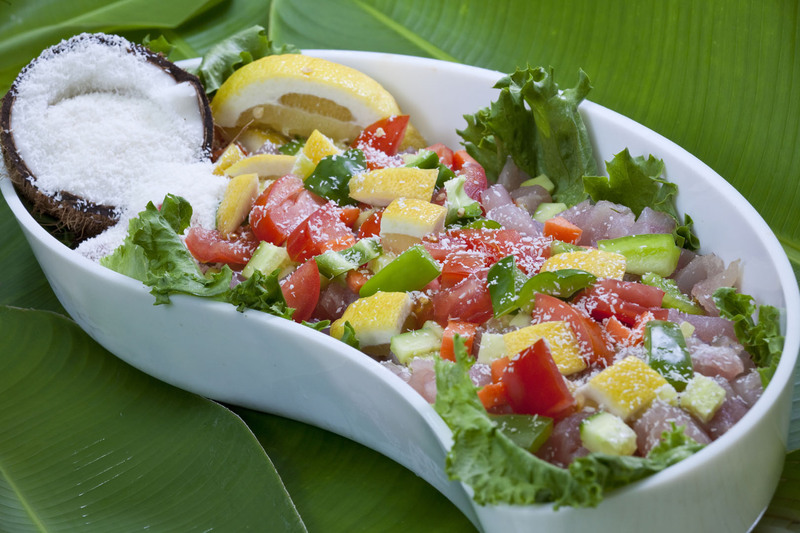 Naturally, we have made this a specialty of the Hotel Le Lagon. 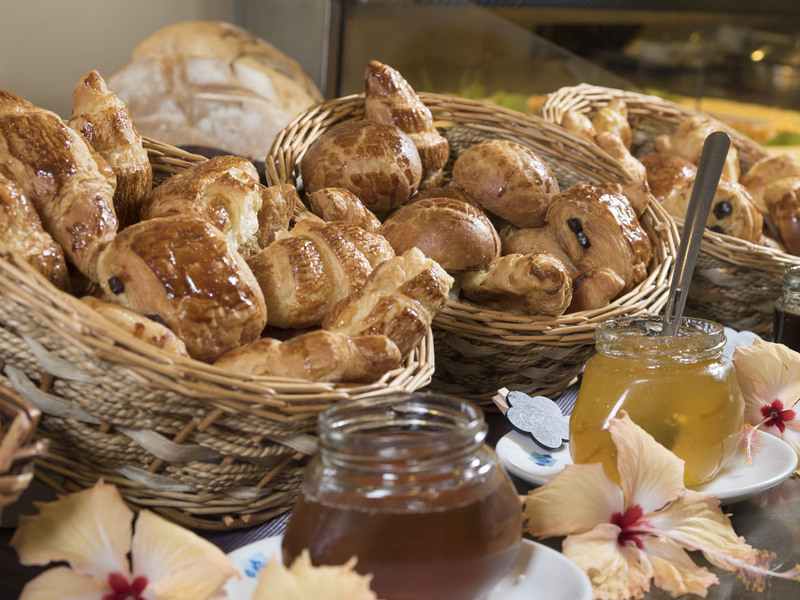 Get your day off to a great start by enjoying a healthy and mouth-watering breakfast at our restaurant, Le Gauguin. 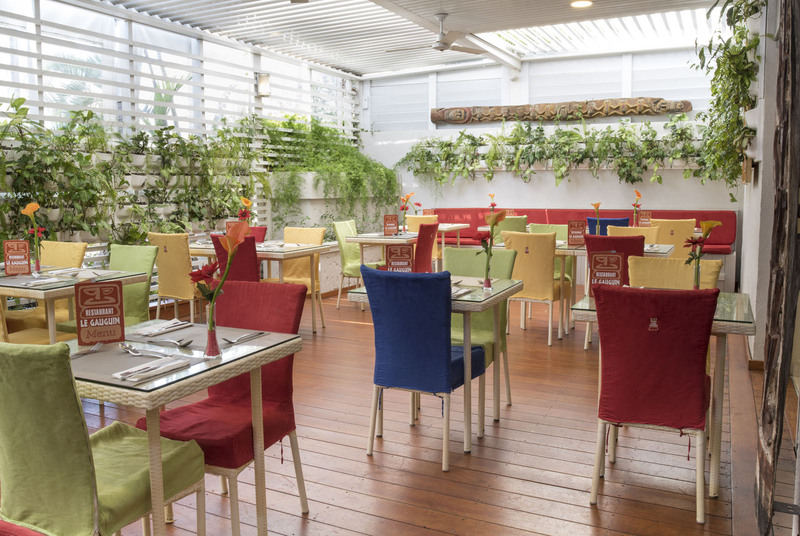 Choose from a mix of local and international flavours and enjoy your “petit-dejeuner” al fresco or in the warm decor of the Le Gauguin showcasing the colours of the famous painter, Paul Gauguin. 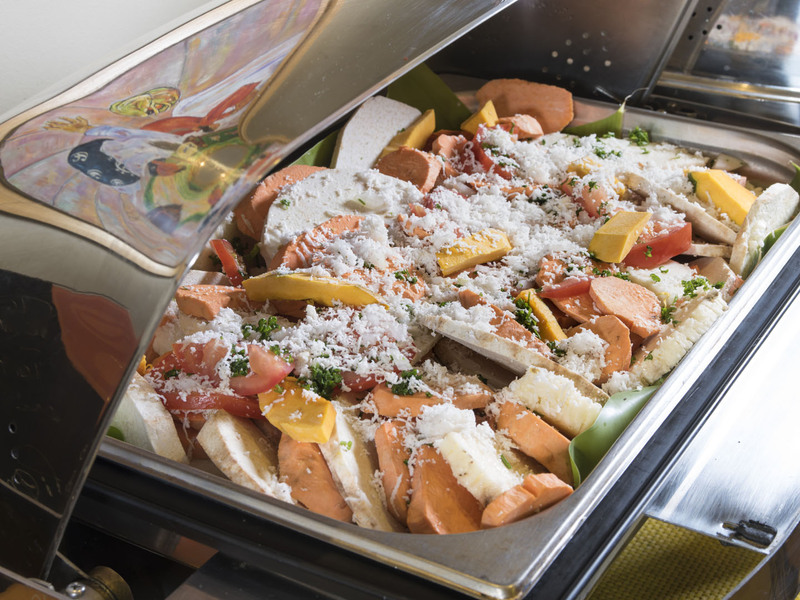 Each weekday, you can enjoy our express, continental breakfasts or our “all you can eat” buffet breakfast. 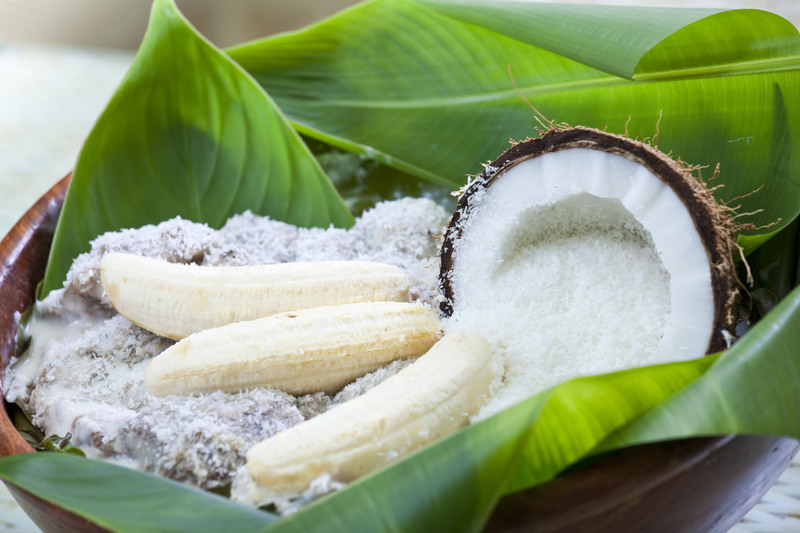 On the weekends, discover the local flavours with the famous Chef’s Bougna, a traditional Melanesian dish, or the Poé with seasonal fruits (Polynesian dessert). 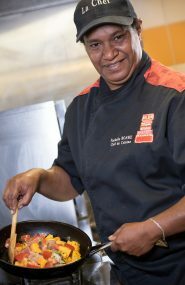 “Welcome to the restaurant Le Gauguin.